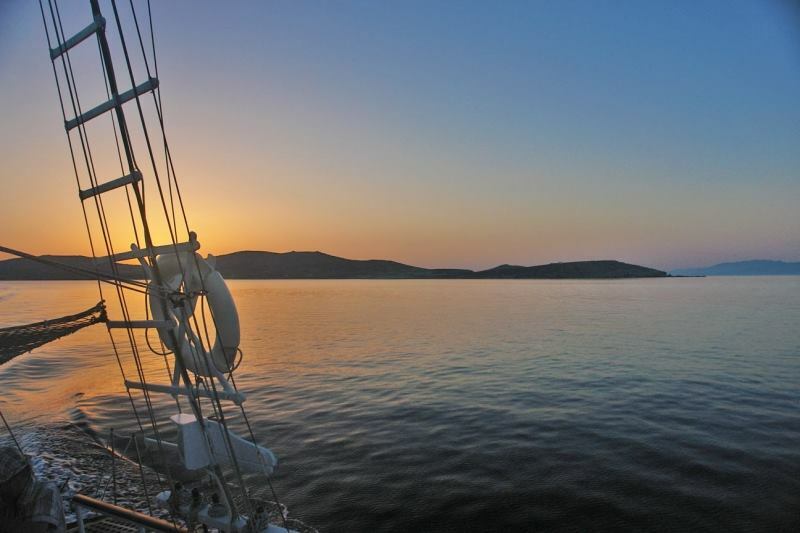 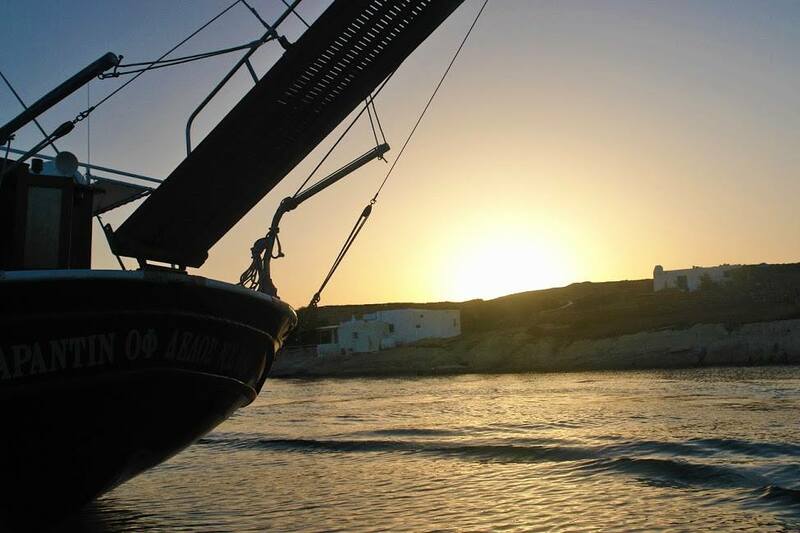 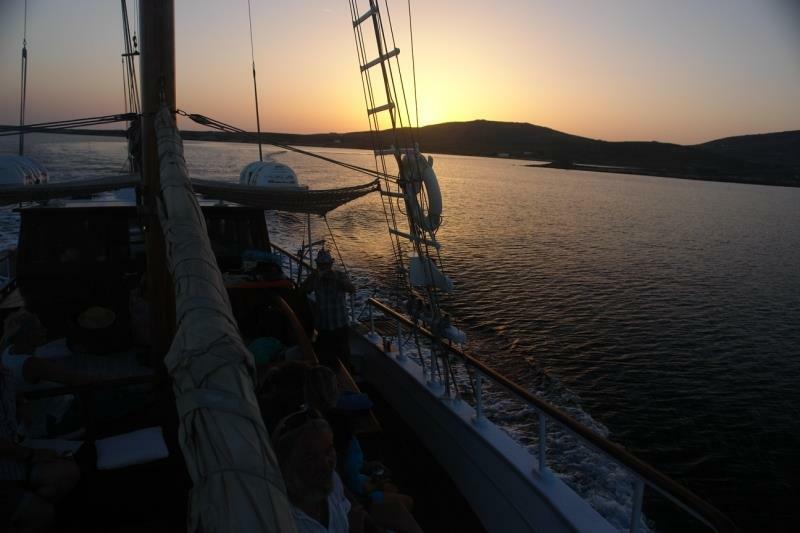 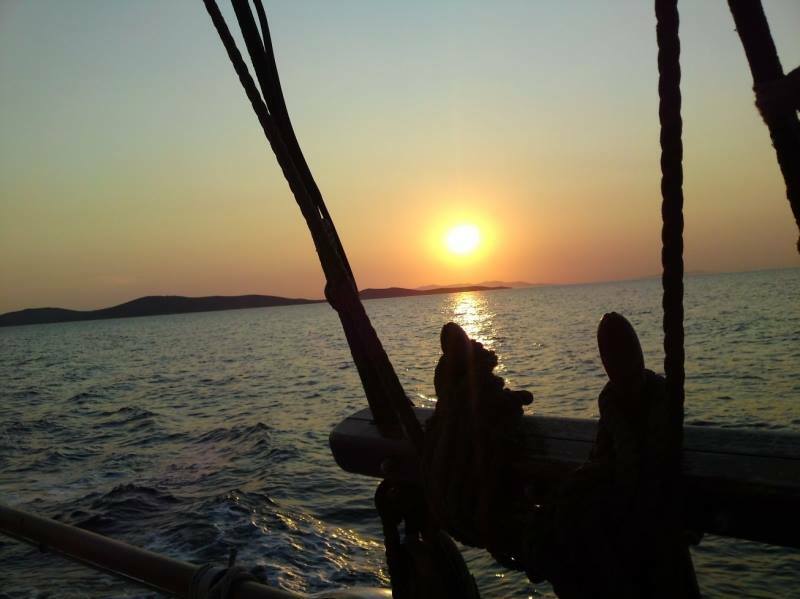 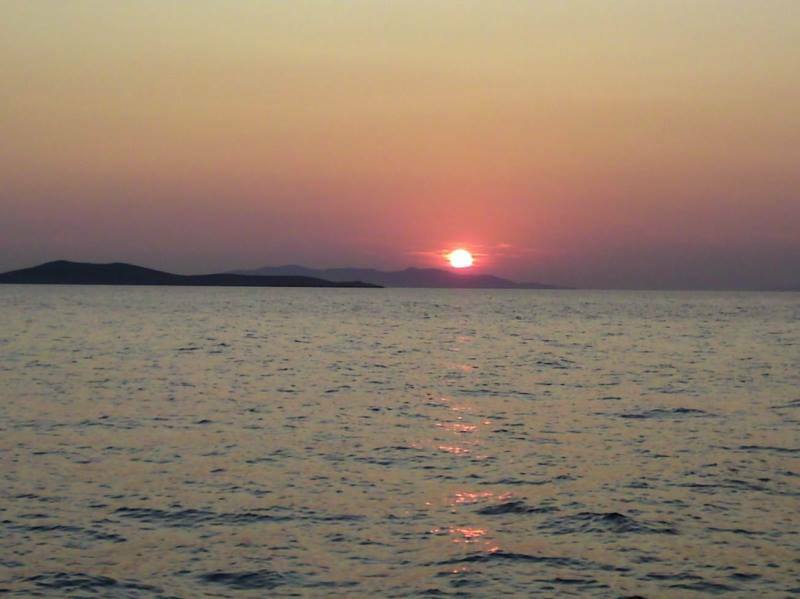 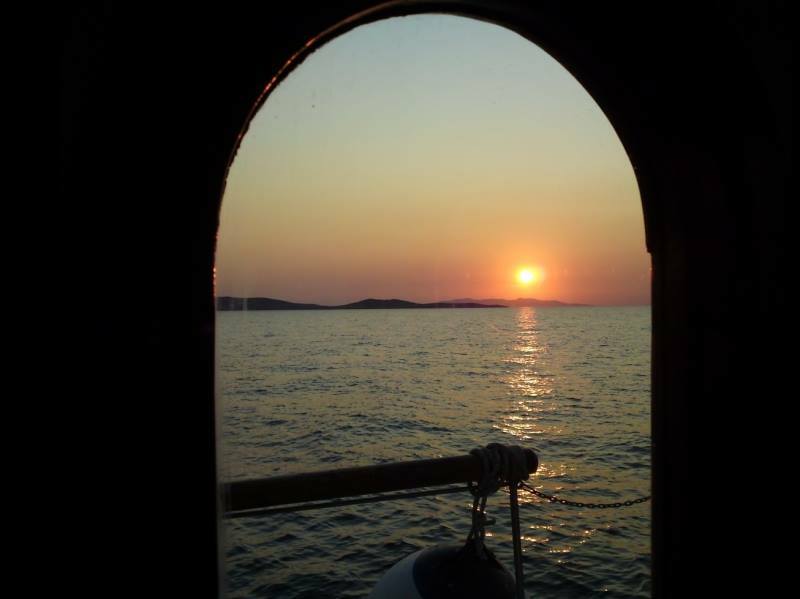 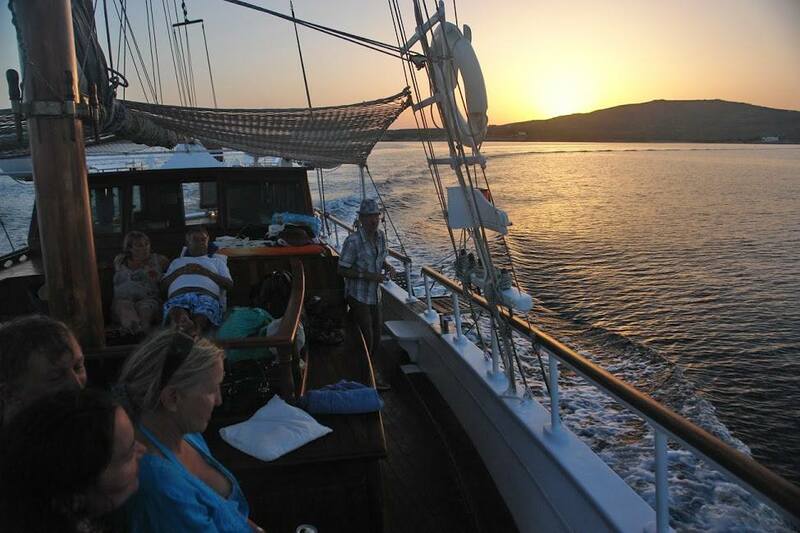 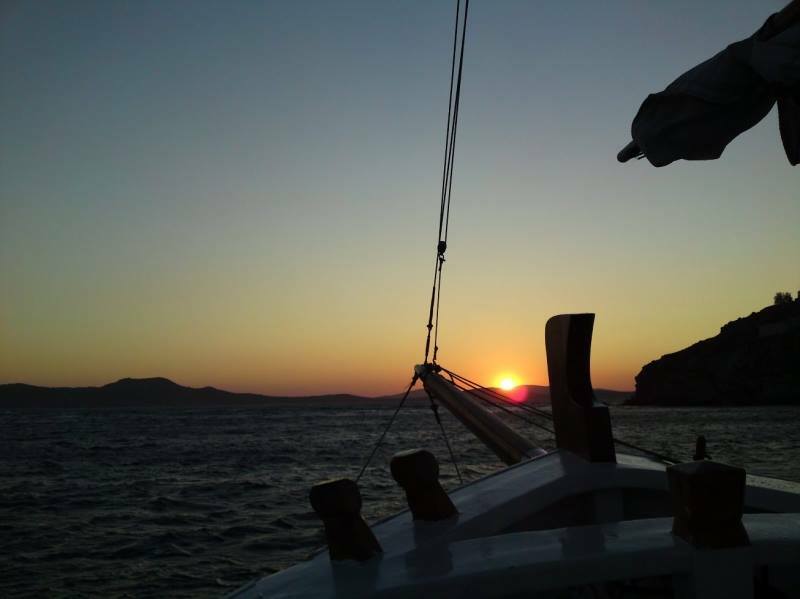 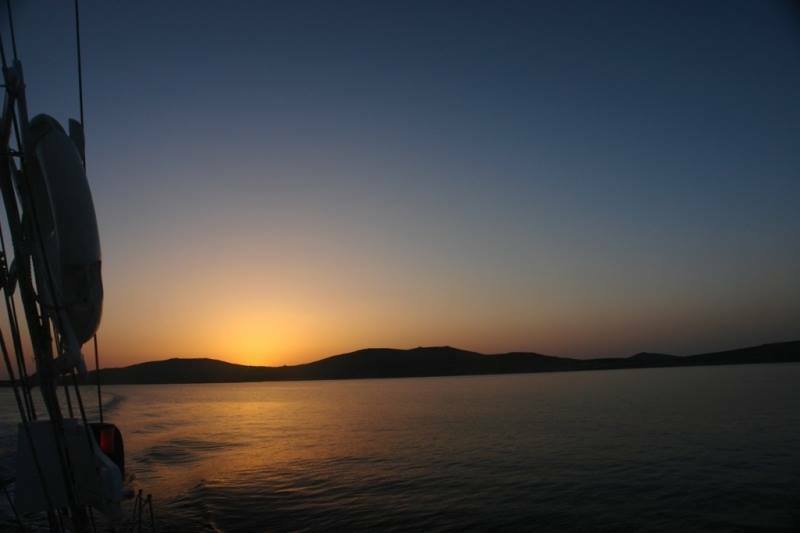 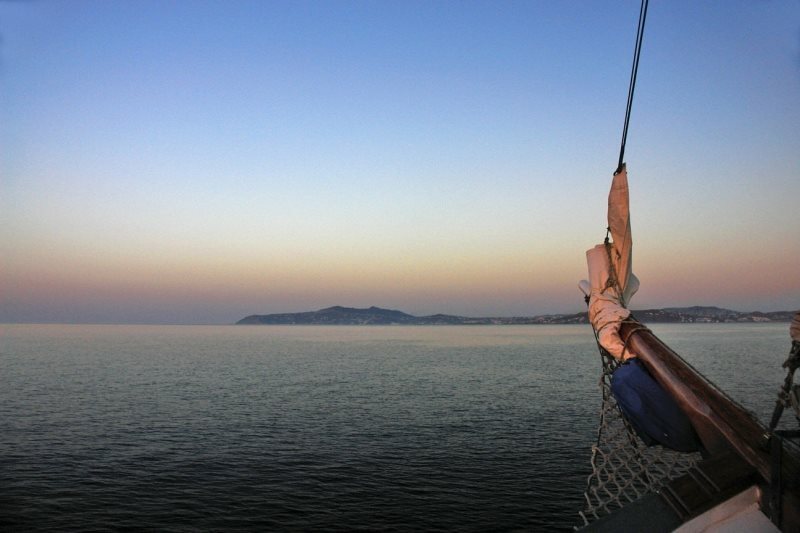 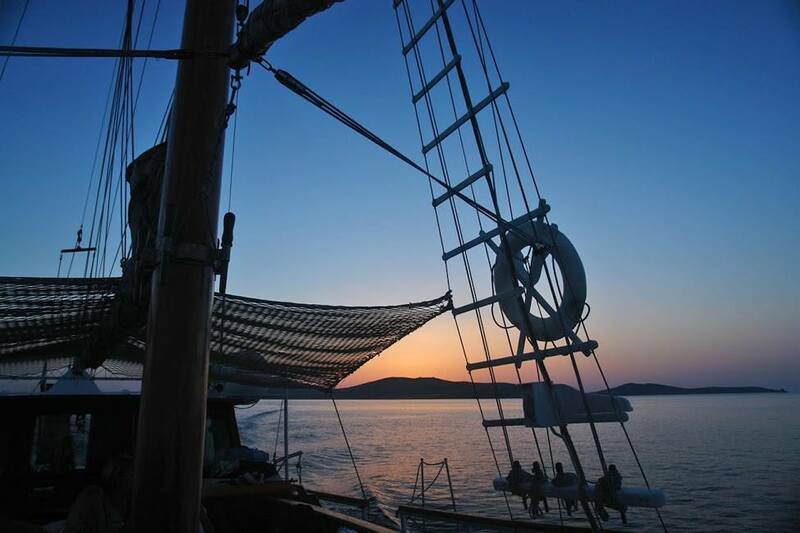 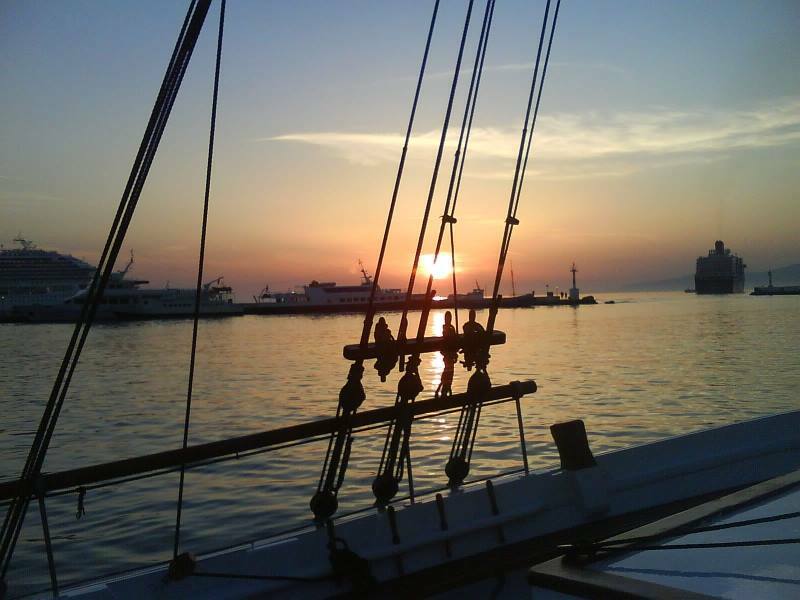 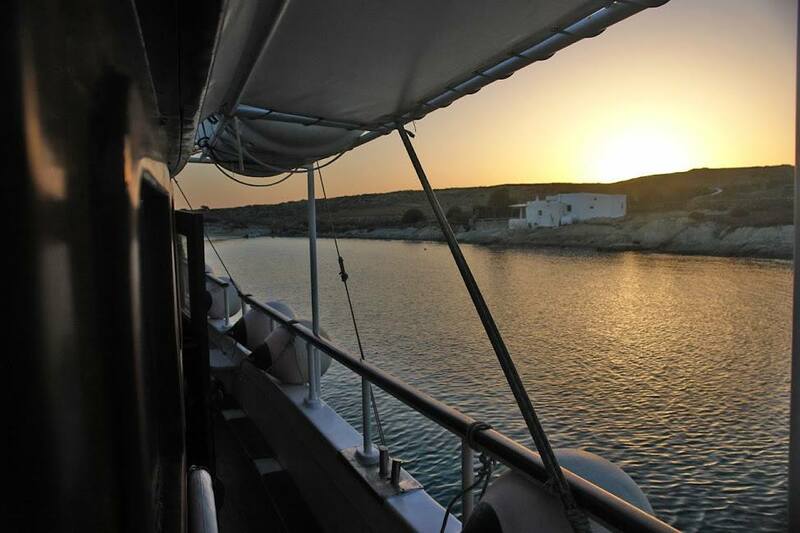 Come on board and enjoy the breathtaking Mykonian Sunset! 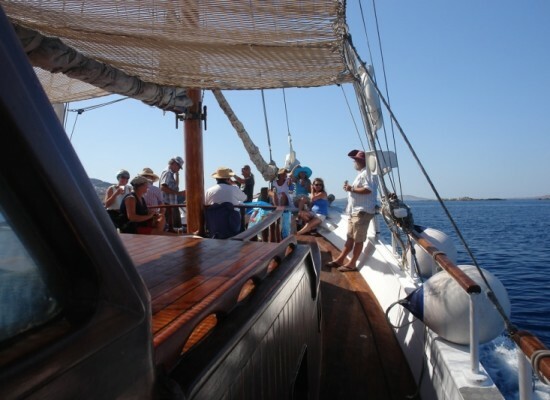 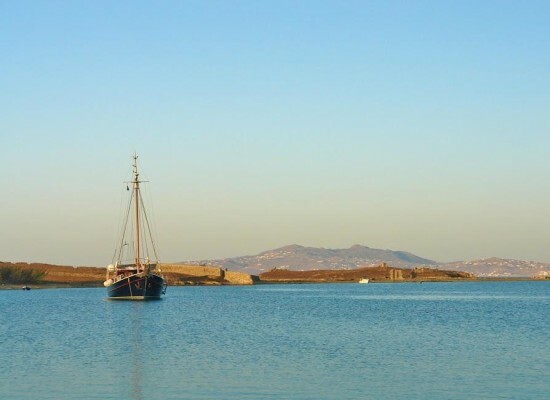 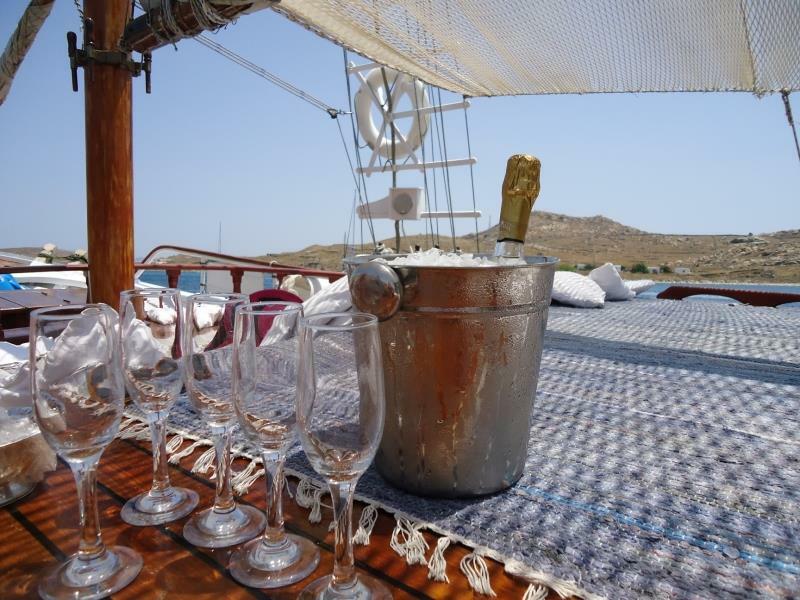 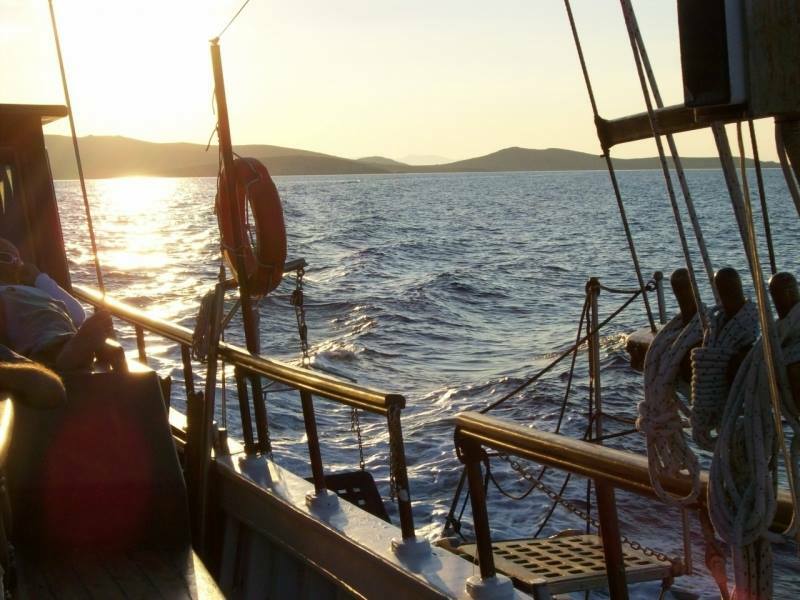 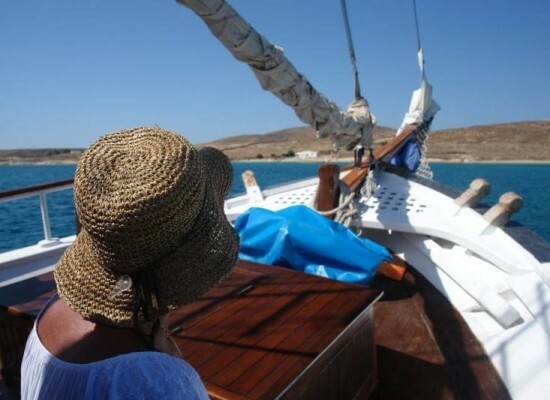 We set sail towards Delos island reaching it from the southeast side, then turn right. 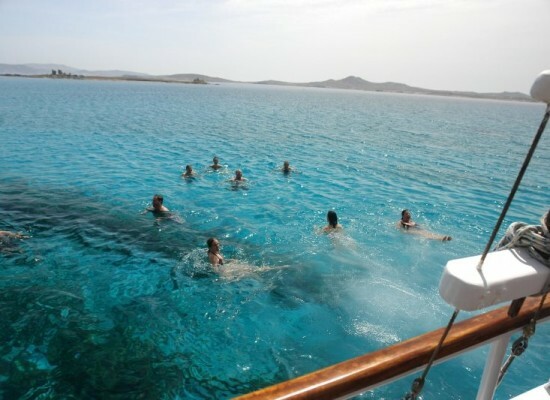 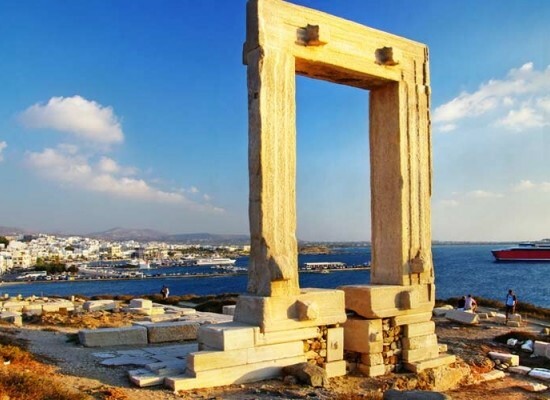 Between Delos and the coast of Rhenia we have the chance of seeing most of the famous ruins of the sacred island such as the theatre, the old harbour, the ancient houses half sunk by the rocky coast and the buildings of the old city. 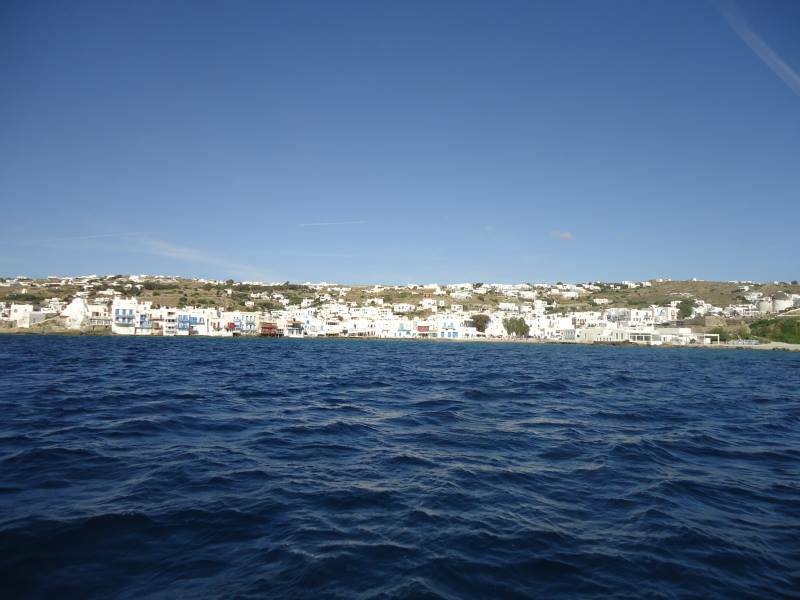 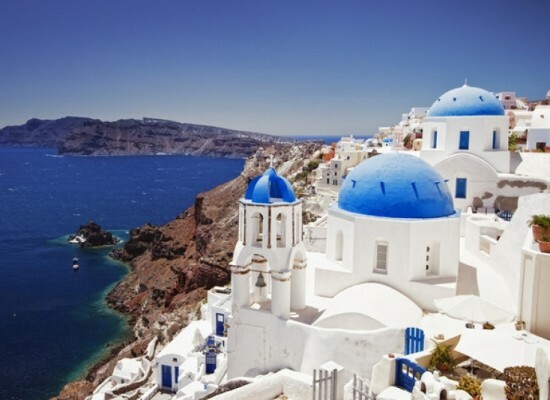 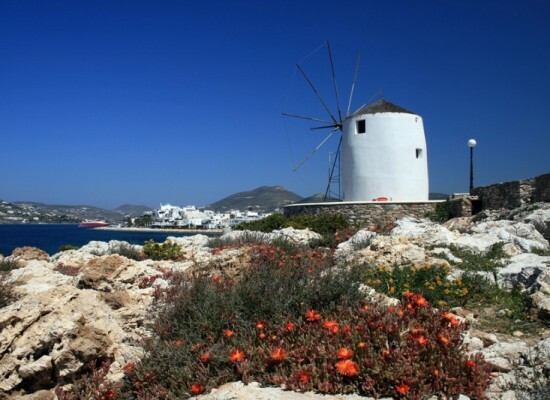 Then we head back to Mykonos and Little Venice area where we can enjoy the magic light of the sun setting over the Aegean Sea.